You might notice the words “patent pending” on all sorts of products out in the world. Even though this may look like something is patented, it actually just means that there is a provisional patent on the invention. What’s a provisional patent? For starters, provisional patents aren’t actually patents at all! When someone says that have a patent on an invention, they usually mean they’ve obtained a non-provisional patent. This is a patent application that went through the patent office, got approved by the patent examiner to be a full patent and is published in the patent office’s database. However, because applying for full patents is expensive, time-consuming and usually requires help from a lawyer or patent agent to write up properly, many people choose to apply for a provisional patent application first. You can file a provisional patent application by yourself since it has far fewer requirements—all you need is a cover sheet and to pay the filing fee: $70 to $140 for individuals and small companies. Your invention can still be in an early, still-evolving form since the provisional application requires fewer details than a full patent application. A bit like an egg that’s not sure to hatch, a provisional patent application is the optional first step to getting a full patent. What a provisional patent does do, however, is buy you time to refine your invention, do more research to decide whether or not you want to apply for a full patent and signal to others that you are thinking about patenting. Most importantly, a provisional patent gives you an official filing date with the patent office. Why is the official filing date so important? Because U.S. follows what the patent community calls a “first-to-file” – as opposed to “first-to-invent” – system. This means that regardless of the date of your actual invention, the first person to file a patent application for that invention gets patent rights. WATCH OUT: Filing a provisional patent application alone doesn’t put you on track to get a fully issued patent! Once you file a provisional patent application, the clock starts ticking: you have 12 months to file for a full, non-provisional patent on the same invention or else your provisional patent application will be considered “abandoned” and thrown away by the patent office. 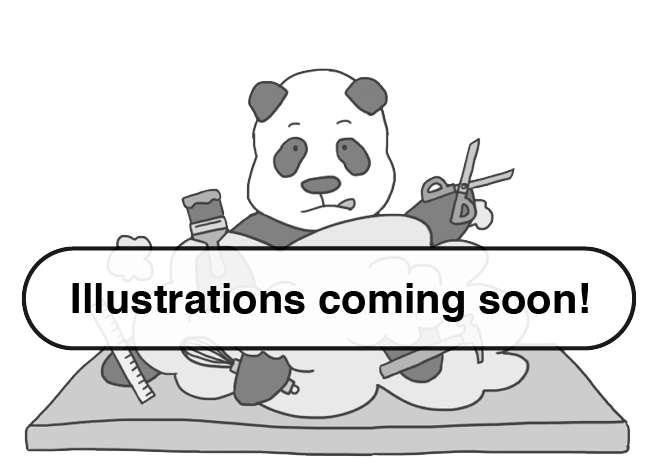 In our scenario, if Slow Panda only files for a provisional patent application but does not then file for a full patent application, then Giant Panda would get rights to the full patent because Slow Panda technically never applied for the actual patent! But what if someone files an application for something you invented before you get to? Will they be able to get a patent on your invention? We’ve actually asked a representative from the US patent office and patent lawyers about this exact situation and they’ve told us that if someone files a patent application first even though they’re not the first to come up with the invention, then they are legally not the real inventor and technically disqualified from filing the application in the first place. While in theory this may be true, in real life patent examiners probably wouldn’t know the full story since all they see is the application. Unless the real invention is lucky enough find out about the fraudulent application and bring up the issue to the examiner during the tight window when applications are still being reviewed, the patent may very well issue. After that, even if someone else is the rightful inventor, the only way to correct this issue is in court. Yikes! As soon as you publish your invention, whether it’s through a provisional patent application or through some other publication like a research paper or blog post, you have 12 months to apply for a full, non-provisional patent. But while filing for provisional patents is easy and cheap, filing for a full, non-provisional patent is complicated and easily costing $10,000 or more! The application is intricate, and if you fill it out incorrectly you may put your patent application at risk (while also wasting a lot of time and thousands of dollars). It’s a good idea to speak with a patent agent or attorney, even if you’re early in the process and just thinking about filing a provisional application. The good news is that we’ve compiled a collection of free resources! If you meet their income requirements, many lawyers and law school clinics will offer pro bono (free) services.